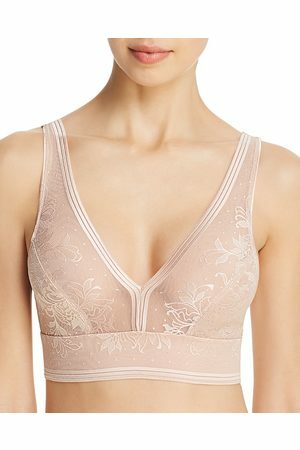 A slightly stretchy, partially sheer bralette is highlighted with rich, cross-dyed lace and supported with a sleek elastic band. 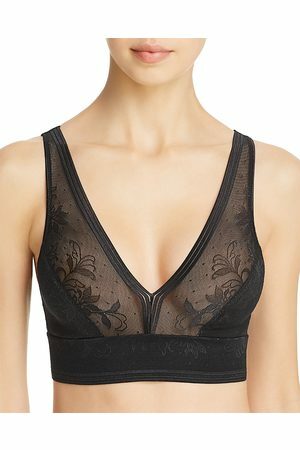 A J-hook at back converts the cut to a racerback style. 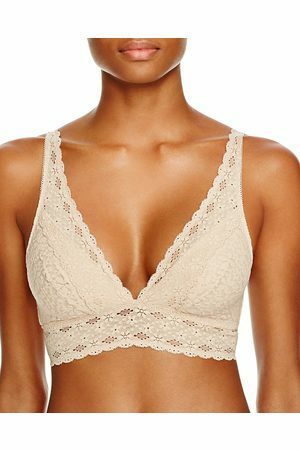 Style Name: Wacoal 'Embrace Lace' Deep-V Bralette. Style Number: 1081626 4. Available in stores.